Hello Everyone! It’s been a while since the last update, but all is well! I’m walking and getting around very well these days! I’ll be on the channel 10 news tonight at 11pm for any and all who would like to know whats been going on with me lately, you can here http://www.10news.com/video/live-video ! We have some very exciting news to share with all of you and will be updating again here shortly! 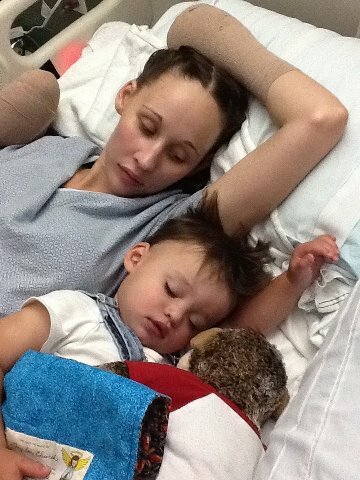 Thank you all for the continued support and prayers! As we all celebrate Fathers Day I wanted to take a moment to say that Taylor is incredibly lucky to have the father that she does. 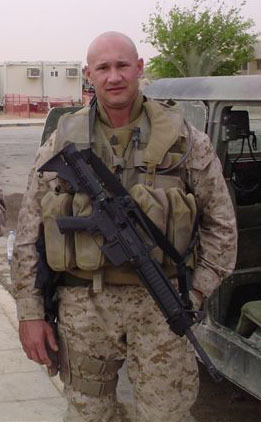 James (Chris) Church, Taylor’s dad, has certainly been through his share of tough times during his 25 year career in the Marine Corps and through it all he demonstrated the courage and dedication that marks the greatest of men. Now, only a short time after completing his Marine Corps career he’s been faced with a horror that, while different, is probably every bit as difficult as anything he faced on the battlefield; seeing his youngest daughter near death and now struggle to overcome multiple amputations. Yet again Chris faces this challenge with the courage and dedication of a great father. On Fathers Day(or near it anyway) I’m thankful for my brothers example as a man and a father.